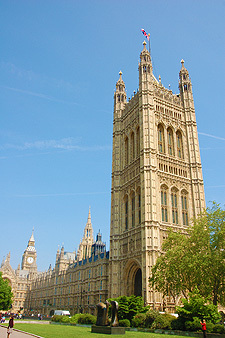 Government Exchange is the training division of the Centre for Parliamentary Studies. Based at the centre of Whitehall, and with strong links to Parliament and Government through our Advisory Board, we are acutely aware of the current challenges being faced in the civil service and wider public sector. We provide training that equips you with the relevant skills and knowledge to respond to these in your workplace. Our courses are particularly relevant for Civil Servants, Agency and Non Departmental Public Body staff, but are equally useful for those from the private, voluntary and wider public sectors who are involved or interested in any aspect of the work of Government. Through regular consultation and conducting thorough training needs analyses, we ensure that our training is entirely relevant, up-to-date, and tailored to the needs of your organisation. Our training also covers the core Professional Skills for Government. We fully understand current budgetary pressures and therefore ensure that our courses offer the best possible value for money. In order for you to guarantee the best possible return on investment, we have also developed a learning evaluation system that measures the increase in knowledge or skills that occurs, enabling you to accurately assess the impact of the training. Well run course and very informative. I would definitely recommend this course to others.